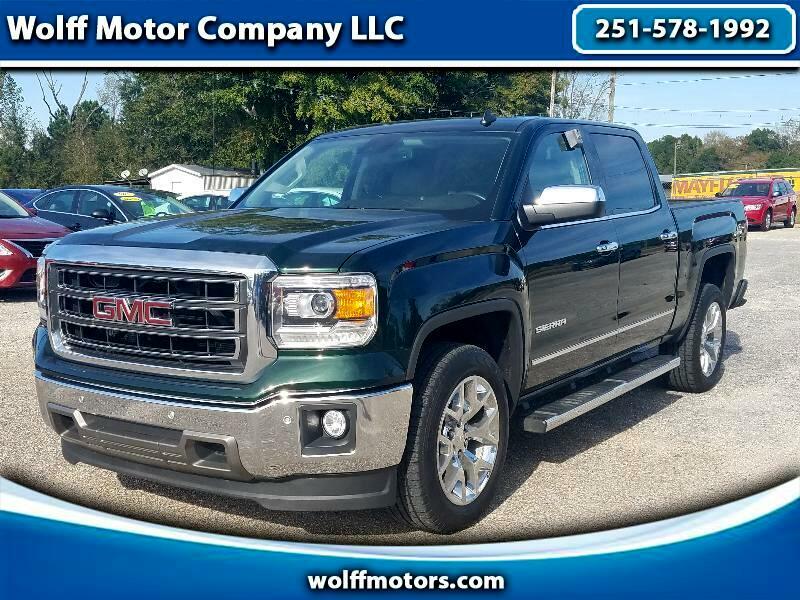 Check out this 2014 GMC Sierra 1500 SLT with a Clean Carfax. This truck features a center console with tan leather interior with wood accent. Heated front seats for those cold winter days and a visible 8inch touch screen display with backup camera. Haul all of your dedicates in the bed of this truck with its carpeted bed-liner. Equipped with a 5.3L V8 engine and towing package to pull anything that won't fit in the truck. Give one of our Sales Professionals a call Today at 251-578-1992.